Gastroesophageal reflux disease, also known as GERD, is most commonly recognized as acid reflux disease. Acid reflux occurs when acid from the stomach moves back up into the esophagus. Heartburn is essentially the symptom you feel when the acid jumps back into esophagus. GERD occurs when there is severe or chronic acid reflux, usually caused by the abnormal relaxation of the ring at the bottom of the esophagus called the lower esophageal sphincter. This relaxation allows stomach acid to splash into the esophagus, irritating and potentially damaging the lining of the esophagus. The concern with GERD is that the condition can potentially cause dammage to the esophageal lining and in rare cases lead to cancer of the esophagus. 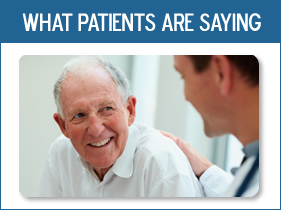 Have you been treating your condition with over-the-counter medications for over 2 weeks? Do you continue to experience heartburn symptoms even after taking medication for it? Has your heartburn pattern changed or become worse since it started? Does your heartburn wake you up in the middle of the night? Have you experienced hoarseness after meals or lying down? Does your heartburn interfere with your daily lifestyle or activities? Do you need increasing doses of non-prescription medication to treat your heartburn? If you answered yes to any of these questions, your heartburn needs medical attention. People with longstanding heartburn are at increased risk for cancer because they may have a condition called Barrett’s Esophagus. There are different levels of treatment based on the severity of your condition. For mild cases, sometimes diet and lifestyle changes may be sufficient. For more severe cases, prescription medication and sometimes surgery is the best choice. Surgery is rarely needed, but in some cases may be the best choice if lifestyle changes and medication are not enough. 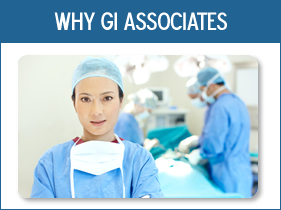 The best way to determine treatment for your condition is to set up a consultation with your physician, or set up an appointment with a specialist, such as GI Associates. Our physicians are well-versed in dealing with GERD and acid reflux, and can help you get the best treatment for you. Contact us to set up an appointment or speak with our staff for more information.